After a jam-packed July (so much so that I didn’t have a chance to go see ANY movies I wanted to see), August slows down considerably. Once I actually get around to seeing my July (and honestly, some of the June movies), the one movie coming out this month I want to see is Fantastic 4 (Aug. 7). I know a lot of people have their doubts about it and I’m still not entirely sure about it, but I’m trying to be optimistic! Plus, how could I say no to this cast? Miles Teller, Michael B. Jordan, Kate Mara, and Jaime Bell! That’s an awesome young cast and I want the best for them. I’ve been spending my summer catching up on shows I hadn’t gotten around to watching. Among those shows was Playing House (Aug. 4), which is going into its second season. If you haven’t seen the show, it’s a comedy about two childhood best friends, who now face a new challenge in their lives. In season 1, with Maggie pregnant and her marriage ending, Emma decides to uproot her entire life and move back to their hometown to help Maggie. Season 2 will see more of the awesome friendship and what happens now that Maggie and Emma are taking care of baby Charlotte. And what’s summer without concerts? Some of my One Tree Hill faves, Tyler Hilton and Kate Voegele, are taking their joint European tour to Canada for a few dates! They’ll be hitting Toronto on August 24th, and I’m just SO excited about it! Music in general has been a little slow for me, and by that I mean there hasn’t been a whole lot of new music coming out that I truly love. I suppose it’s sort of a good thing, seeing as how I don’t have very much time these days to be searching for new music and even so, I haven’t had much time to just sit and listen. All that ramble is to say that despite that fact (or maybe because of), I still manage to have one album I look forward to. On July 17th (yes, a Friday, because the industry has decided that new music releases get dropped on Fridays starting this month), PJ Morton and the Crusade will release their live CD/DVD Live Show Killer. PJ Morton is an incredibly talented musician, who is best known these days for working with Maroon 5. Don’t let that stop you (if you happen to not like Maroon 5, for which, shame) from listening to PJ’s solo work, which is a wonderful mix of R&B, pop, blues, and jazz. PJ assembled his own group of musician friends to put on this live concert back in May, and the result is this release. Besides the stuff that premiered last month, TV maintains its laid-back summer style, with only two shows (both of which are kinda similar) that I’m excited to see. The first is the return of Hollywood Game Night (July 7), which is just SO much fun to watch, with the celebs and a great way for me to put my pop cultured brain to use. 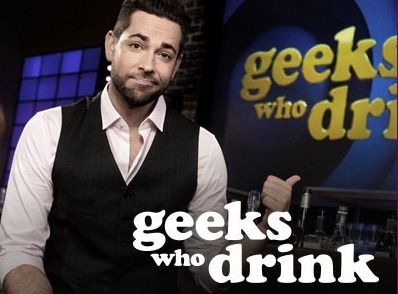 In the same vein, SyFy will premiere Geeks Who Drink (July 16), based off of the popular bar trivia contest, wherein two trivia pros and a celebrity will come together to compete against another team. Oh, and Zachary Levi plays host and executive producer for the show. What’s the summer without movies? Though July brings about A LOT of movies, there are only three coming out this month that I really want to check out. Of course, we’ve got the next movie in the Marvel Cinematic Universe, Ant-Man (July 17), starring Paul Rudd, Michael Douglas, and Evangeline Lilly. I know people have their doubts, especially after Edgar Wright left, but I have faith that at the very least, it’ll be a fun time at the movies. Also opening on July 17th is Trainwreck, a comedy starring and written by Amy Schumer, and directed by Judd Apatow. Flipping the script a little, the movie is about a commitment-phobe woman re-thinking her beliefs that monogamy isn’t possible when she meets a good guy (played by Bill Hader). The other movie I’m looking forward to is Southpaw (July 24), which stars Jake Gyllenhaal as Billy Hope, a boxer whose life falls apart after a tragedy and he must fight to get it back together. With a script from Sons of Anarchy‘s Kurt Sutter, directed by Antoine Fuqua, the film also stars Forest Whitaker and Rachel McAdams, and Eminem (who was initially eyed for the lead) serves as the soundtrack’s executive producer. 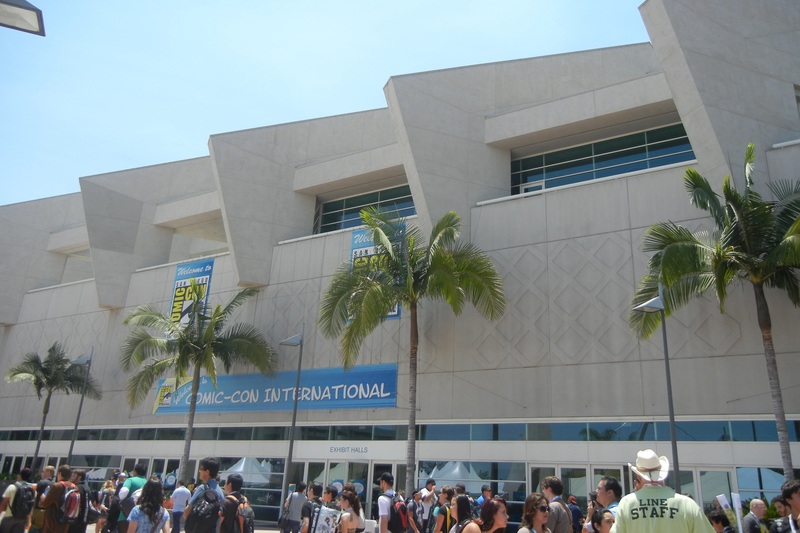 Oh, and there’s also a little thing this month called San Diego Comic-Con; maybe you’ve heard of it? All kidding aside, I am SO EXCITED for it! This will be my third year going and I can’t wait for awaits me down in San Diego. Can One Song/Event Change Our Views of Music Artists? Have you hated a song so much that it negatively impacted how you view an artist? If they have been around a while, their back catalogue and the memories you have associated with that artist may stay the same, but after that ONE song, anything that comes afterwards is subject to major scrutiny. Or has that artist done something that in a way taints your perception of them, and thereby affects how (or even if) you listen to their new music. These random thoughts have popped up into my mind on several occasions as of late. It all started when I heard Carly Rae Jepsen‘s “Call Me Maybe” for the millionth time. I don’t finish the song, mind you – it just pops up in commercials and whatnot, then annoys the hell out of me. The only song of hers from this period that I like is “Curiosity”, but due to the ubiquity and radio overplay of “Call Me Maybe”, it has caused me to have a certain distaste for every other song she’s done since (add to the fact that her album is not the pop music I like). It’s a shame because I was somewhat of a fan of her initial debut album Tug of War, released after her time on Canadian Idol. So while it was cool, for a little while at the beginning of all this nonsense, to see another Canadian artist get massive success, it annoys me now that it was for THAT song. Rihanna is an interesting case study. When she first came onto the music scene, with ‘Pon De Replay” and then a little bit later with “S.O.S.”, I didn’t make much of her. It was a little fun to listen to at the time, but nothing felt special. Then she released her album Good Girl Gone Bad, buoyed by the release of “Umbrella” as the first single, which we can all agree was a complete game changer for her. That album, and its subsequent re-release, spawned numerous hit singles and she followed it up with Rated R, an equally solid effort that saw Rihanna get darker and edgier. But then she kept churning out a new album every year, and I got increasingly tired of hearing her songs on the radio. It’s like, take a break already! It only makes sense now to include Chris Brown in this list. I was never a big fan of Chris Brown; he had a few songs in his earlier days that I enjoyed and only really cared for because we used them for Dance Crew back in my high school days. And then the pre-Grammy incident happened with Rihanna. What we thought we knew about him changed completely, and yet he continues to make more music and sell records. I have a friend who tried to get me to listen to one of his newer songs “Fine China,” but I couldn’t do it. I can’t stand him really and even a supposedly great R&B track, won’t change my opinion of him. You want to know what really pains me to have to include in this post? Britney Spears. I’ve been a Britney fan from the beginning and love her style of pop music. Now to be honest, I have to admit that I was not a big fan of her last album, Femme Fatale – it was veering into the dance pop/EDM that I’m not into at all, though there was a handful of tracks that I legitimately liked. But then she was featured on the will.i.am song “Scream and Shout” and I honest to goodness hated it. I think it took me two (maybe three) months before I could listen to the song IN FULL, and that was because I couldn’t change the radio station. Yep, I hated the song so much, I could not listen to more than 20 seconds at a time. I think it was the Britney sing-talking(?) in a fake British accent that threw me off…well, that and I didn’t really hear much of substance in the lyrics (what lyrics?!). Now, she’s released a song for the Smurfs 2 movie and I could not care less about it either (doesn’t help that it’s for the Smurfs 2 soundtrack! THE SMURFS! Give me the original animated stuff, not this CGI stuff! Talk about tainting my childhood…Sorry, tangent.) Point is, I’m not particularly liking the direction that Britney is taking with her music. I still love all her old music (the Britney/Dream Within A Dream era was by far my favourite), but her new material really leaves something to be desired. Maybe that’s part of the problem: Britney’s music changes with the times and right now the big thing is dance pop/EDM. My musical tastes have changed and though I’m still a sucker for a GOOD pop track, my dislike of electronica/dance/techno pop still hasn’t changed over the years. So are there any artists out there who you may have liked in the past, but now hold different views of? Has this happened in regards to other celebrities? What caused the change? Let me know in the comments!